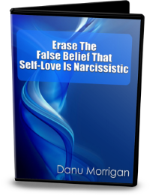 This Bundle is designed to to erase all the negative self-beliefs your narcissistic upbringing gave you. Every bad thought you have about yourself is something you learned or decided, not something you were born with. So it's not the core of you, the real you. It's like old worn-out clothes you're wearing, and they can be removed. These EFT videos are designed to help with this process so you can have a healthy self-image and self-regard. These are the videos you get. Click on each image in turn to find out more about it. These seven MP4 videos are only $59.50 which is a 50% discount over the $119.00 it would cost you to buy them individually, but the actual value - your freedom - is priceless. There is also a full 60-day no quibble guarantee so you can fully try them out before deciding if you want to keep them or not.